Taking annual leave during the school year is almost impossible in my job as an administrative assistant at the local university, so other than a day or two here and there, I save it all for the summer. The thing is, there is rarely money for any long, exciting vacations, so I don’t have much need of my annual leave in the summer either. Any mom, working or not, knows exactly what I’m talking about. Anyway, somehow we came up with the idea of taking off a day each week in the summer to spend with our kids. Clearing it with our boss, I chose Mondays and she chose Fridays, and a tradition was born. For the last 6 or 7 years, my Junes and Julys have been blissfully Monday-Work-Free. 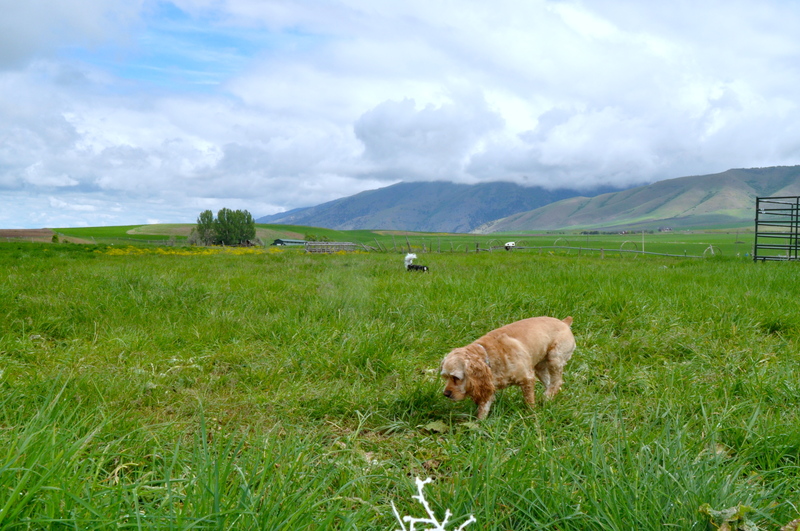 The first year or two, all went according to plan, and the kids and I usually managed to find something fun to do together: hiking, trips to the local swimming pool, mini golf, or small excursions to places outside the valley. Then the boys grew old enough that it was no longer cool to spend time with their mommy. Oh – they were happy enough to take my money and have me drop them off somewhere with their friends – but don’t even think that you’re invited along, mom! So Savannah and I did things together, just the two of us, which was good too. More years have passed, the boys are now all out on their own, and Savannah has now entered that stage where she loves to go do things – but with her friends, not me. Again, I’m welcome to give money and a ride, but otherwise I’m just dead weight! For months I’ve been debating whether or not to even take my Monday’s off this summer. Having been through it with the others, I know that my days off will consist of running a taxi service, with no quality time together to be found. “Why bother?” the Struggling-With-Growing-Children part of me keeps asking, sentimental tears leaking from the corners of her eyes at random, usually inopportune, moments. “Why not? !” the selfish Think-Of-The-Freedom part of me retorts. I finally decided to carry on with the tradition. After all, it IS a Monday free from work. Even though I know that I’ll be spending most days in my now-familiar role as shuttle service, there are bound to be at least SOME opportunities to connect with my growing girl, and I want to be there to take full advantage. It’s cliché, but I know that I’ll turn around tomorrow and my baby will be gone and out on her own. The selfish part of me did get a last word in, however. “It’s your summer right now,” it pointed out to me. I’ve been taking classes towards my degree forever, but I’ve really ramped it up here lately, trying to get done while I’m still young enough to actually have a career. With school, work, kids, and unavoidable life events, it’s been a really stressful year, and I’m feeling more than a little burned out. Not only am I taking every Monday off through June and July, but May too, while Savannah is still in school. 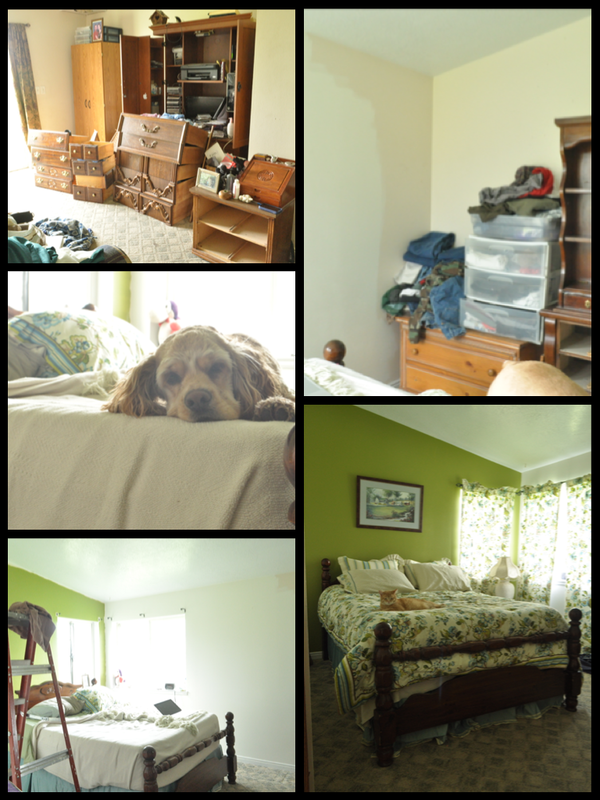 So far I’ve de-junked and repainted the master bedroom (creating a gigantic mess in other parts of the house in the process), giving it a whole new look, and done oodles of laundry… You know, exciting stuff. Today cleaning my closet is on the list, although to be truthful it was there last week too. I opened the door, took one look, and closed it again. I’ve ignored it so far today but, sadly, I know it won’t wait forever. I’ve also taken the time to read (for fun! ), gotten a pedicure, reacquainted myself with this little blog of mine, and spent blissfully quiet moments savoring my morning cup of coffee, looking out at this gorgeous view, with a dog or two cuddled in my lap. Yes… Mondays CAN be good! I’m linking up today with Mod Mom Beyond IndieDom. Thanks so much for the invite! Click the link above to read other fun posts.